Katherine E Renstrom, New Windsor, NY, formerly of Montgomery, NY. Katherine E. Renstrom of New Windsor, NY passed away Saturday, March 31, 2018 at home. She was 72. The daughter of the late P.K. Lawrence Bueide and Ruth Haaland Bueide, she was born April 20, 1945 in Fergus Falls, MN. Survivors include her husband Thomas G. Renstrom of New Windsor, NY, son Paul Renstrom and wife Denise of Lord’s Valley, PA, son John Renstrom of Walden, NY, three grandchildren Bailey, Shavon, and Paul, brother Paul Bueide and wife Marsha of Scottsbluff, NE, sister Elsa Larson and husband Dave of Lincoln, NE, sister-in-law Pat and husband Mac Binger of Big Arm, MT, six nieces and nephews, three great-grandchildren. 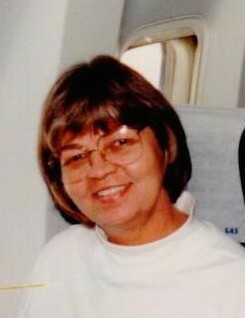 Katherine was employed as an administrative assistant for Kahn Realty, Newburgh, NY and Smitchger Realty, Cornwall, NY, before her retirement in 2010. She enjoyed her work in advertising, marketing, and website creations in both firms. Kathy was the childhood sweetheart of her husband Tom and they enjoyed 53 years of marriage. She was known for her analytical/engineering mind and her nonjudgmental attitude to those she came in contact with. Her loyal Lemon Beagle (Willy) was a great joy to her. She was predeceased by brothers Harold and Daniel. Memorial visitation will be Monday, April 9, 2018 from 6 to 7 PM at Overhiser Funeral Home, 78 Union St., Montgomery, NY 12549. A funeral service will follow at 7 PM at the funeral home.